Can you give me a lift to the station? I can./I can’t. Would you like to get a cup of coffee? I would./I wouldn’t. Do you like green apples? I do./I don’t. Did you hear? I didn’t./I heard. Are you going to the city? I am going./I amn’t. Did you notice how the response often echoes the verb in the original question? You did! Remarkable, isn’t it? (Response: “It is!”) And that last point: “I amn’t” – what’s the deal there? If we have negative contractions for “be” such as isn’t (is not), aren’t (are not), wasn’t (was not), and weren’t (were not), then why not amn’t (am not)?! Use elongated vowels, so “how are you?” becomes “ha-ware-ya?” The “au” (in “how”) and “oo” (in “you”). Enunciate or use hard consonants even if the words sound like they are slurred together. 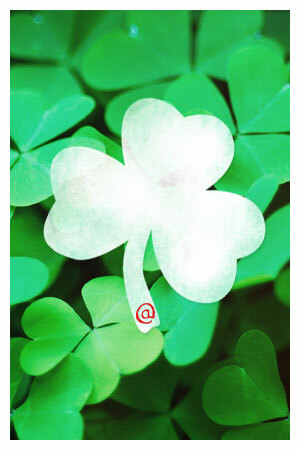 To all of our Expert Authors, have a safe and great St. Paddy’s Day! * Price, Glanville (2000). Languages in Britain and Ireland. Wiley-Blackwell. p. 10. Whoever wrote this drivel should be sacked. Definitely a Yank and not Irish. Only being slightly Irish, I can’t vouch for much about this article, except to say I’ve always thought it was Paddy and not Patty, and was happy to see someone bring that up. I’m surprised that comments like those of Mr. Jones are not backed up by a good explanation. Fair play to you Vanessa for your Irish words – though the sayings are a bit dated now in Ireland – remonds me of tom Cruise’s Irish sayings. As a 100% true born and bred Irish man, let me tell you: ‘This is not a very good article’. I’m Welsh, but it makes me cringe. One of my favorite Irish (or is it English) sayings,”oh don’t be such a wanker”. Something new I learnt today. Thank EzineArticles. Peggy, you are 100% correct. That’s because ‘St Patty’s Day’ is a ‘makey-up’ name. And that’s exactly the category that the article falls into. You are right! We were just having a little fun on this great day! For some reason i thought today was April Fools Day. I know nothing about St. Patrick’s day…. except that it’s big in Savannah. Good to know that EzineArticles has a light and fun heart.